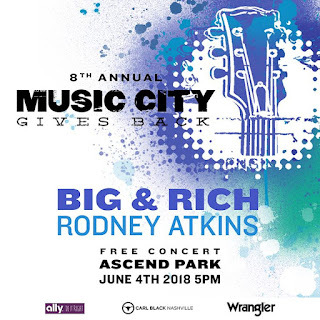 Music City Gives Back Moves to Ascend! Big & Rich to Headline! 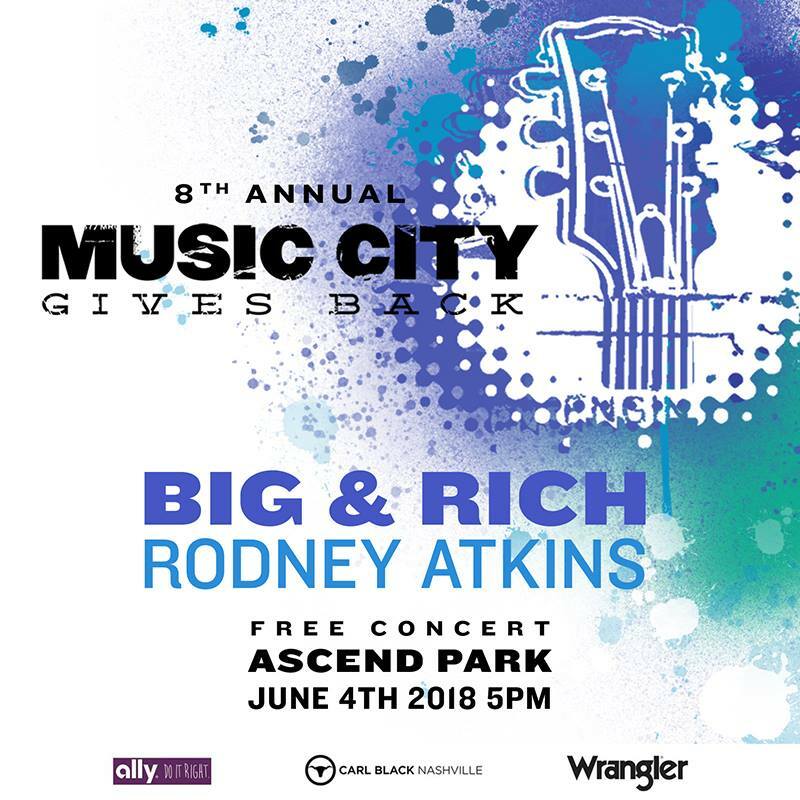 Rodney Atkins has announced that the 8th Annual Music City Gives Back Concert is moving from downtown Nashville to Ascend Park and will take place on Monday, June 4, 2018 at 5 PM. Big & Rich is set to Kick off CMA Fest Weeks at the annual event hosted by country star, Rodney Atkins to benefit W.O. Smith Music School!